Photos and images that students can use for projects. Your password is your grade level password. In the search box, type what you are looking for and filter by images. Type your search word, then click on "search tools." 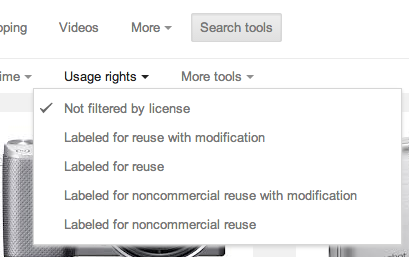 Then select "labeled for non-commercial use with modification" or "labeled for non-commercial use."